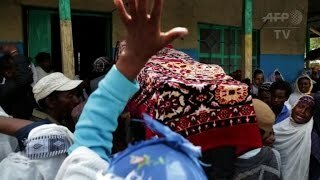 Funerals have taken place across Ethiopia's Oromia region after weeks of clashes between security forces and protesters. There is opposition to government plans to expand Addis Ababa. Members of Ethiopia's largest ethnic group, the Oromo, have been demonstrating against plans to build on their lands.